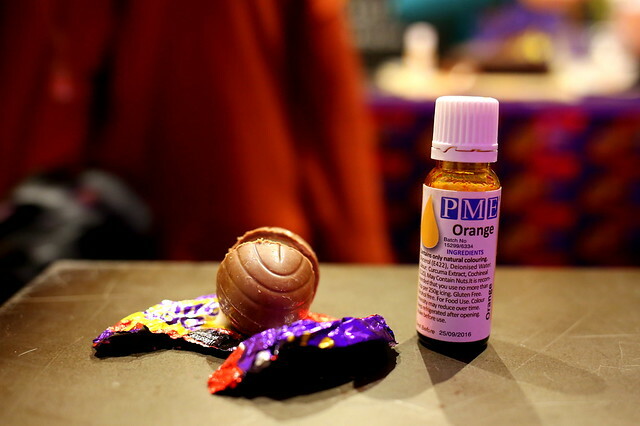 So if you decided to do Lent traditionally and have given up chocolate, you might want to look away now. Eyes closed? 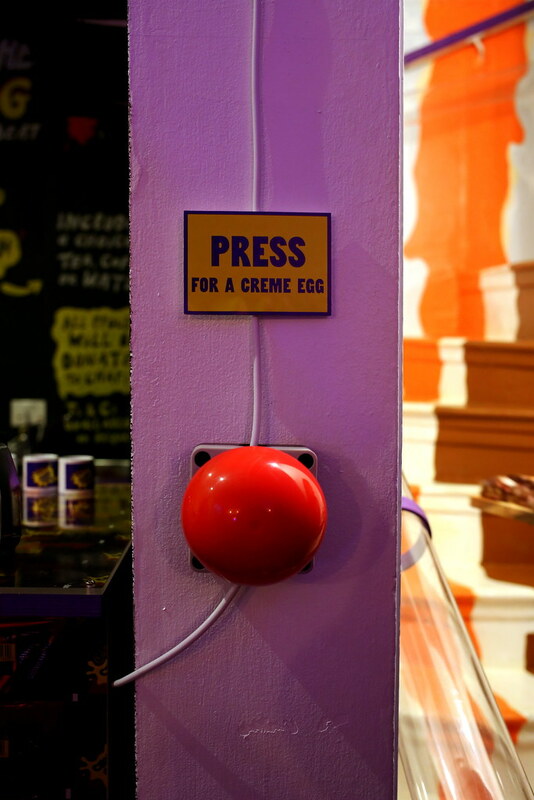 Ok so for those of you who still have them open I've got some drool worthy shots for you to indulge in, as theres a very cool pop up in Soho- it's only an offical Creme Egg Cafe! 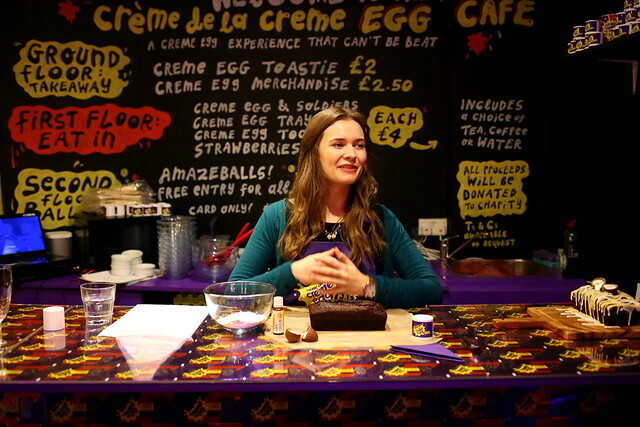 Yep, Cadbury's have opened up a Creme Egg Cafe to celebrate Creme Egg's being back on the shelves again. 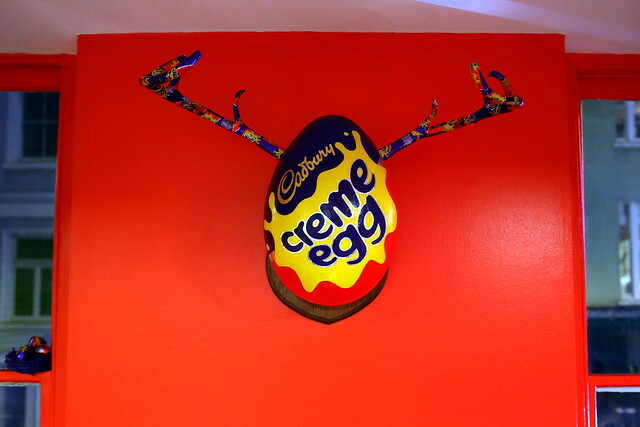 As you probably guessed its theme is all things Creme Egg from the walls, to the tables and chairs. 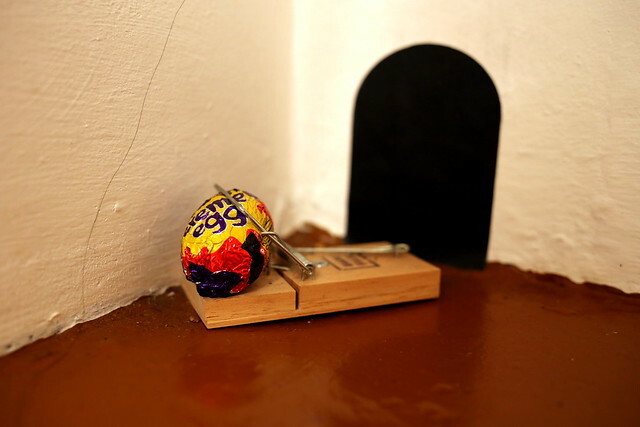 Plus there's a host of silly Creme Egg art that will get you in a cracking mood... sorry. 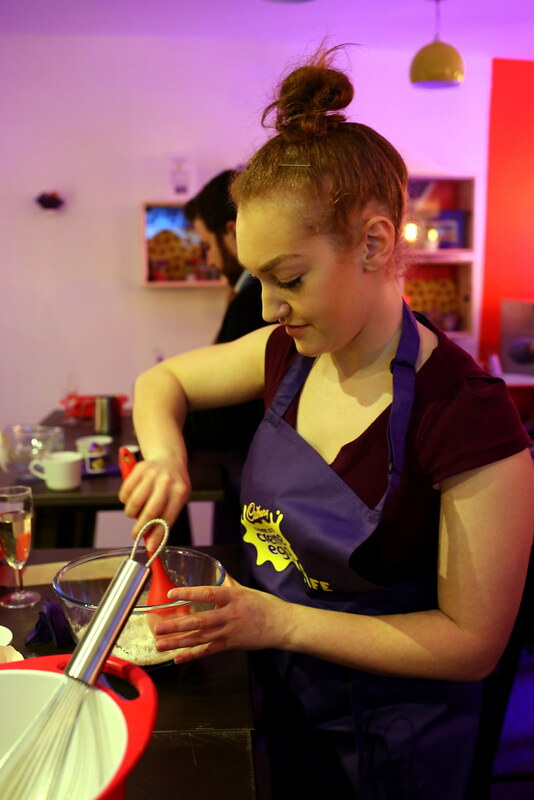 I was invited to pop down and do some baking with Great British Bake Off's finalist Martha Collinson as shes made some recipes for the cafe which of course all revolve around Creme Eggs. 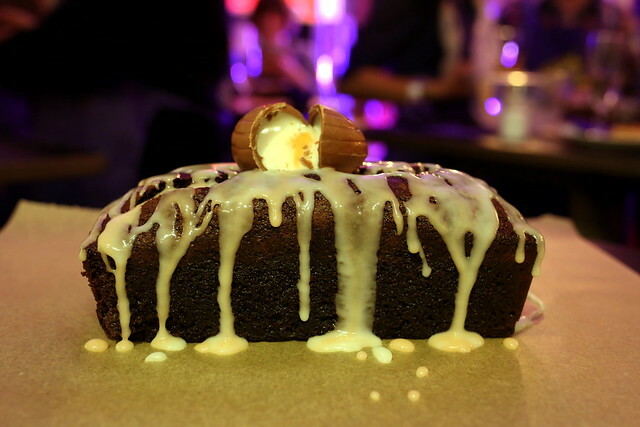 My mission was to bake this cake. 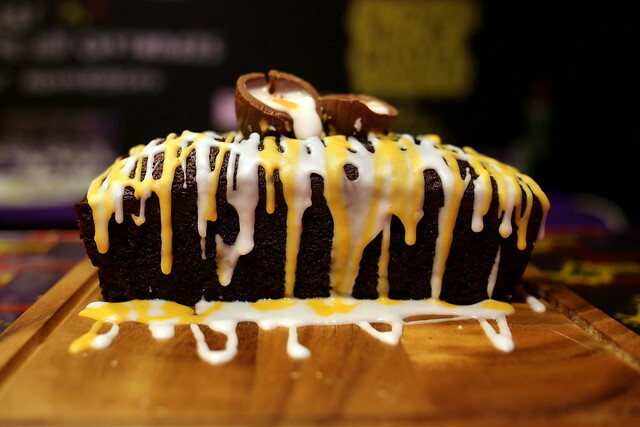 A Creme Egg Goo-riffic Drizzle Cake. Hmm it looks awfully perfect. 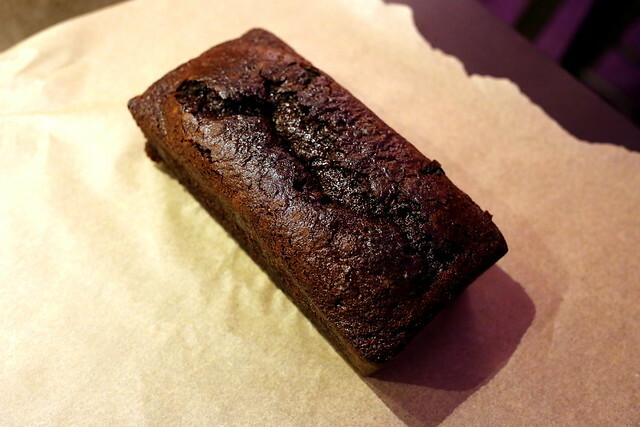 If you want to bake at home, i've put the recipe at the end of this post for you. 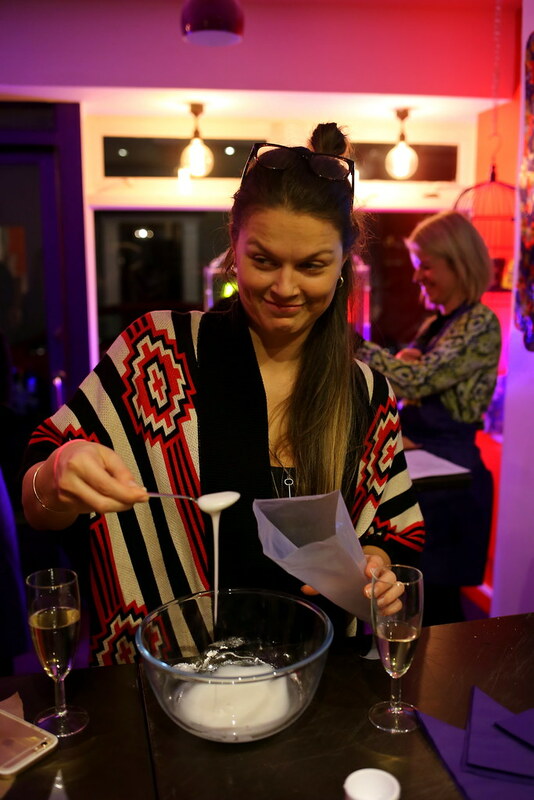 Once Me and my partner in baking crime Nancy had mixed all the ingredients and transferred into our tin (Not without a few spills), it was time to let the magic happen in the oven and us to head of an explore the cafe. 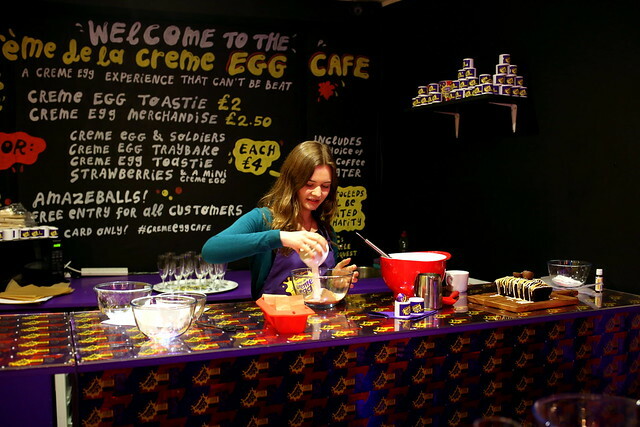 The cafe has all sorts of weird and wonderful hidden treats, including Creme Egg shoots. Maybe leave this one alone though! 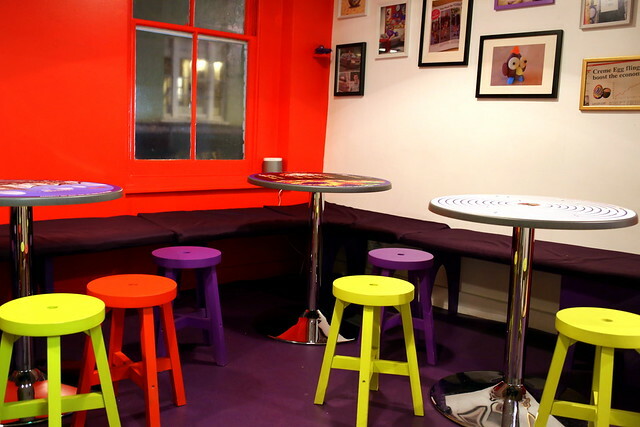 Downstairs is for takeaways and upstairs is the seating area for a sit down snack. 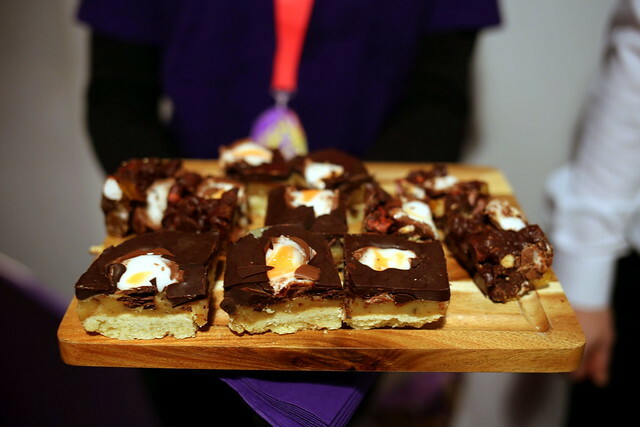 They serve a variety of Creme Egg based treats such a Creme Egg rocky road, cake and brownies. 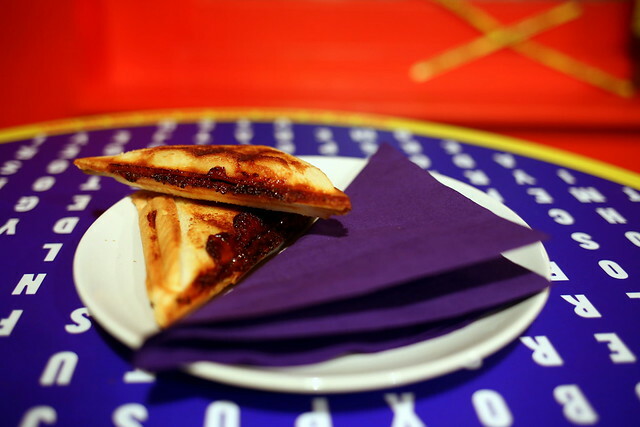 But the real deal is their Creme Egg toastie. I know, I know, it sounds so weird, but trust me, its pretty darn good. 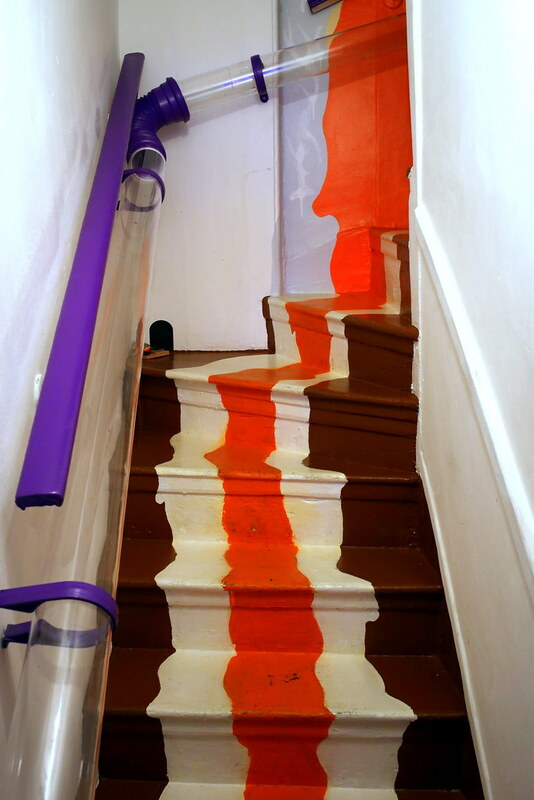 However up another flight of stairs is where you really want to go. 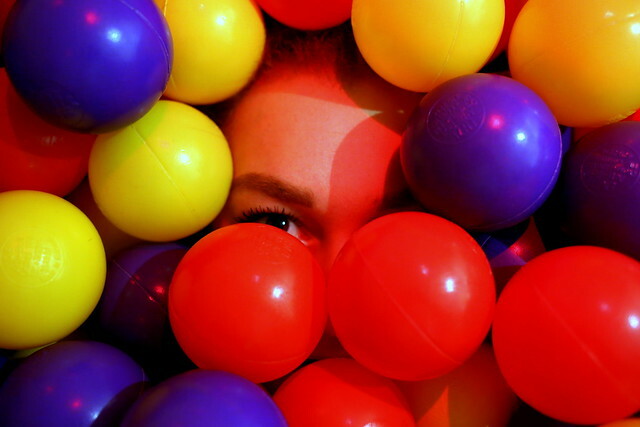 There is a ball pool. 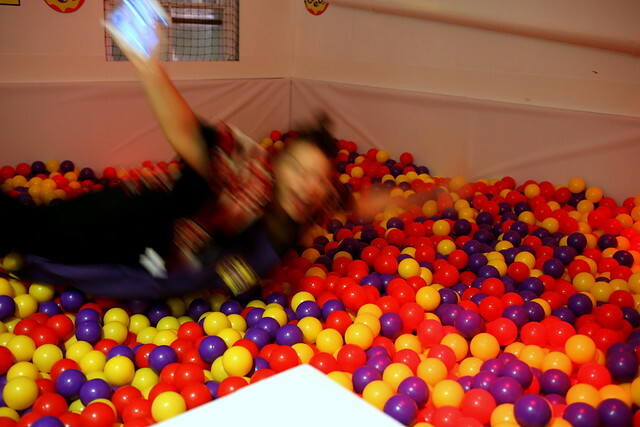 Theres not point in trying to play it cool, this requires all total silliness. Possibly the scariest photo you've ever seen. Sorry about that. After spending quite possibly an hour in the pool, hogging it completely, our cakes were cooled and ready to be iced. Now I have a confession, as we bounded downstairs, we were greeted with looks of mourning. Apparently mine and Nancy's cake had sank beyond repair... clearly not going on the Bake Off any time soon, so this one above is actually Martha's spare which she donated too us! 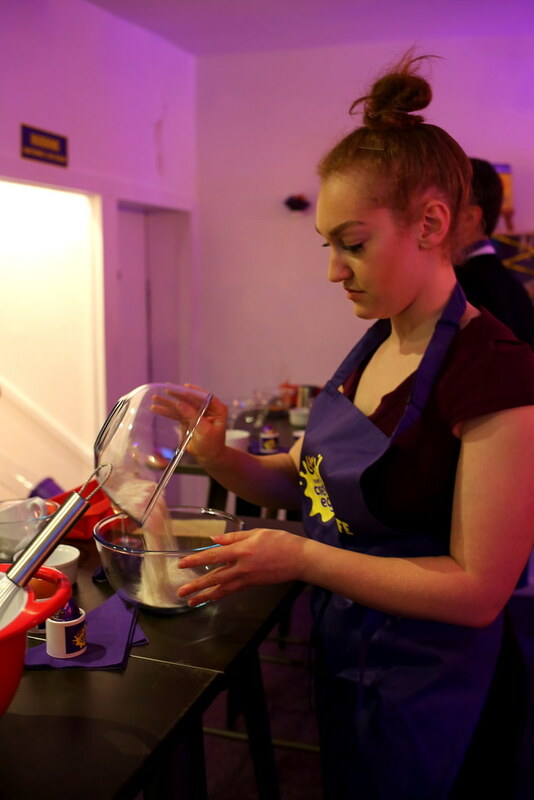 So with our expert made cake in our not so expert hands, we set about making that Creme Egg fondant. Sorry Nancy but that face just showed how much you did not like the icing job. Trying to redeem ourselves we did our best egg splattered art work. 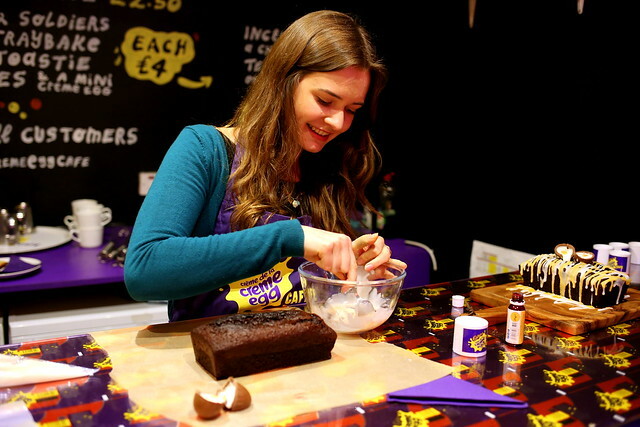 And finally garnishing with a cracked Creme Egg. Ta da! What do you think? Not bad eh... well I guess it wasn't technically all our work. 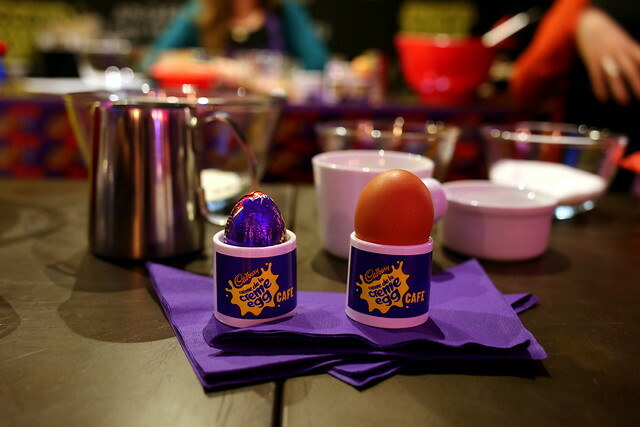 Either way it was an egg-cellent experience. I'm done. 6. 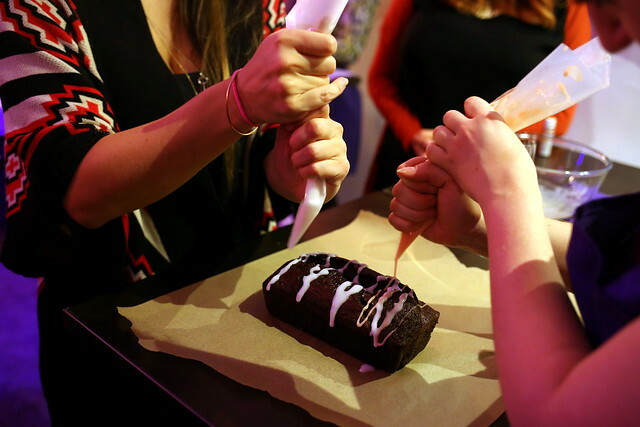 Use a piping bag to drizzle the icing over the cool cake, allowing it to drip down the edges. 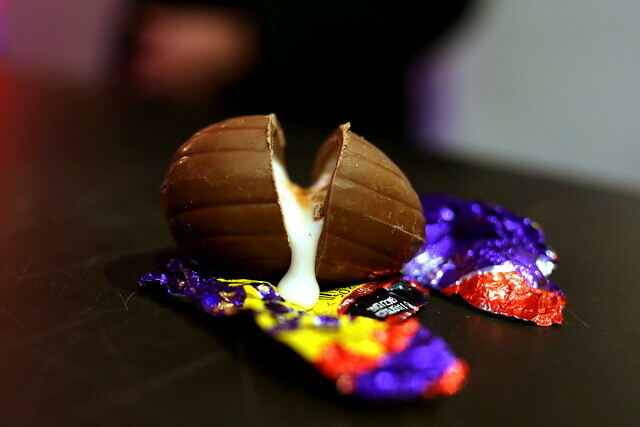 Cut the Cadbury Creme Egg in half and pull it apart to encourage the inside to seep out – then place it on top of the cake! OMG that place looks magical! 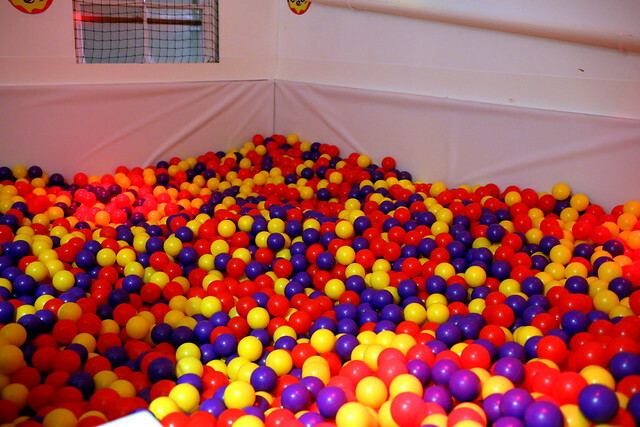 I swear I would never leave. Your cake looks amazing! 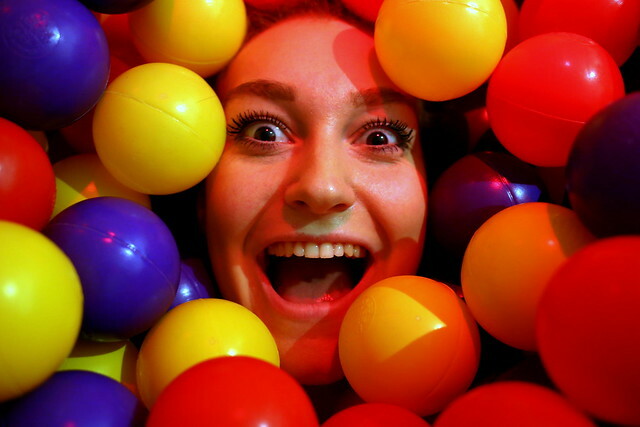 I need to come to London immediately. Great post! 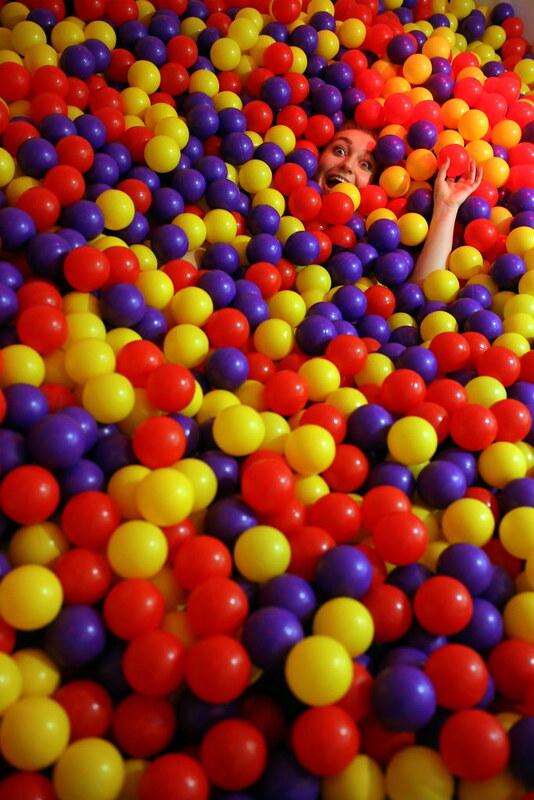 That place looks so fun, loving all the puns - it has to be done! Lovely to see Martha too as I always wonder what happens to the runners up afterwards.